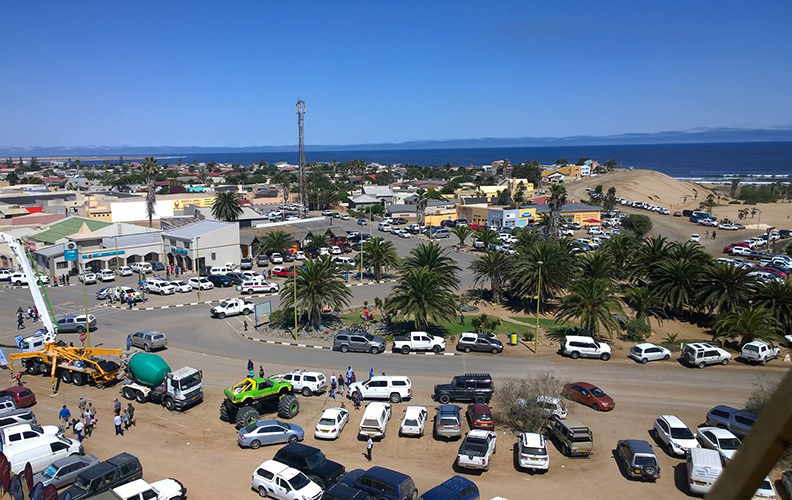 Since its earliest years Henties Bay was primarily an informal holiday settlement that gradually attracted more people every December who initially camped in tents but later on set up small informal wooden houses in the so-called valley, an old tribute of the Omaruru River. Because there was no infrastructure or somebody responsible for cleaning services, it was a battle trying to keep the area clean, probably leading to much bickering amongst holiday makers who are responsible for the mess and who should clean it up. 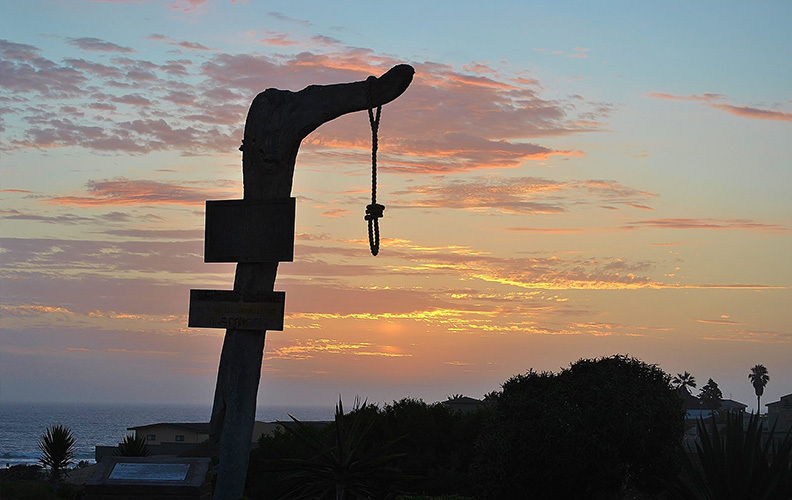 Eventually in 1978 two of the first permanent residents of Henties Bay, Frank Atkinson and Willie Cilliers, who respectively settled here in 1969 and 1971, fixed an old tree stump with a rope and noose as a “friendly but firm” warning to keep the town and beach clean – or else….! 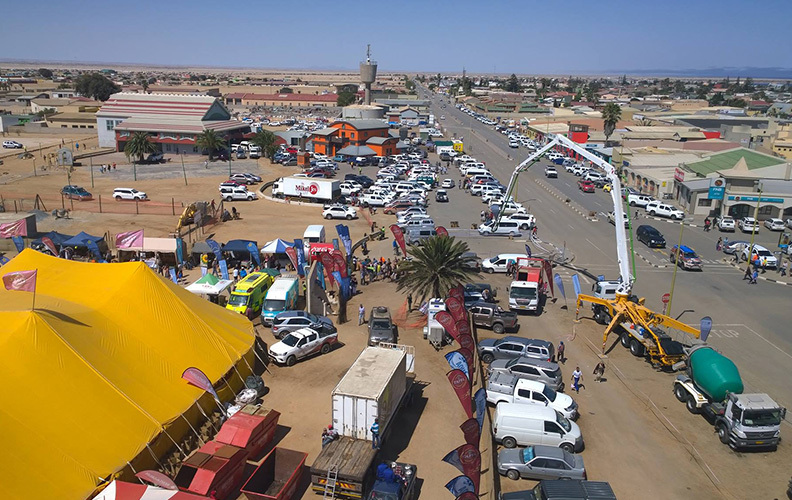 This gesture is typical of Afrikaner humour and seen as such without any negative connotation reflecting on obscure happenings such as real hangings or slavery (which is, by the way, not part of Namibia’s history). Erected in 1978 as an appeal to keep the town and beach clean. 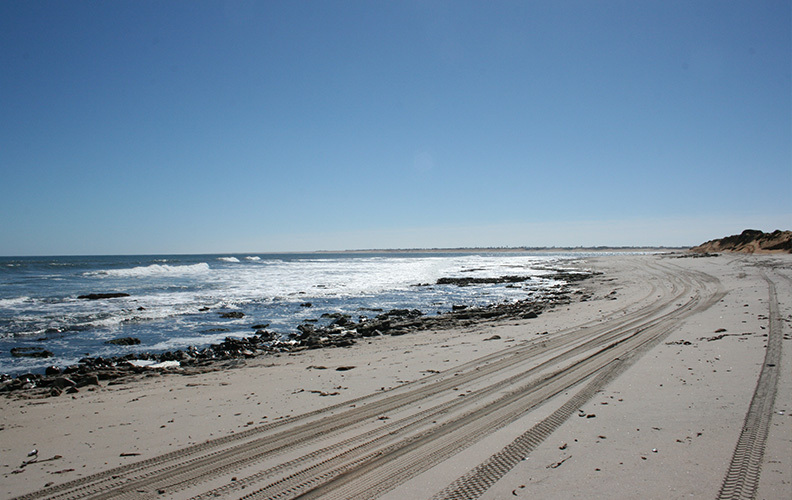 Initiated by Frank Atkinson and Willie Cilliers, who respectively settled here in 1969 and 1971 as two of the first permanent residents of Henties Bay. A strange but very attractive phenomenon is a fresh water fountain that is situated almost on the beach in the Valley, an old tributary of the Omaruru River. Apparently this fountain served as a live-safer to many early explorers, one of those being our own Major Hentie van der Merwe who discovered it in 1929. 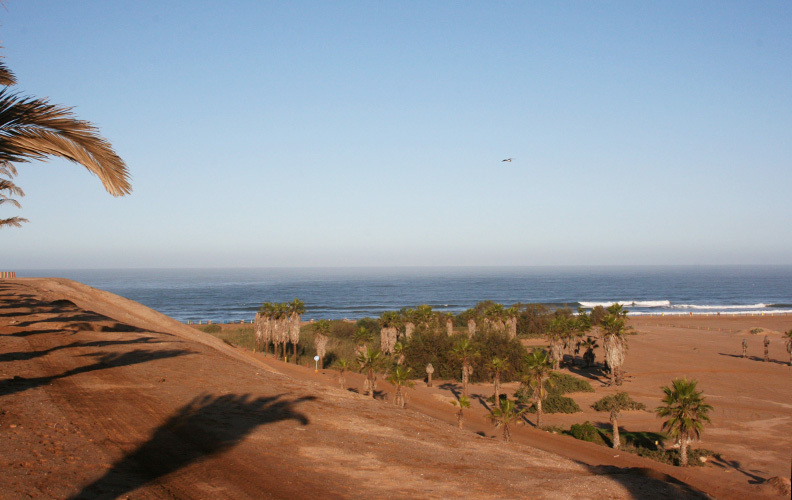 Probably one of the most beautiful spots along our coastline is Solitude Beach or Farilhao Bay as it is officially known. The bay is situated south of Henties Bay and boasts a rocky shore visible at low tide and the hummocks, dunes formed by the accumulation of sand around the plants living in this extreme arid area. This stretch lends itself excellently for long strolls and is known as the Jakkalputz Walking Trail. 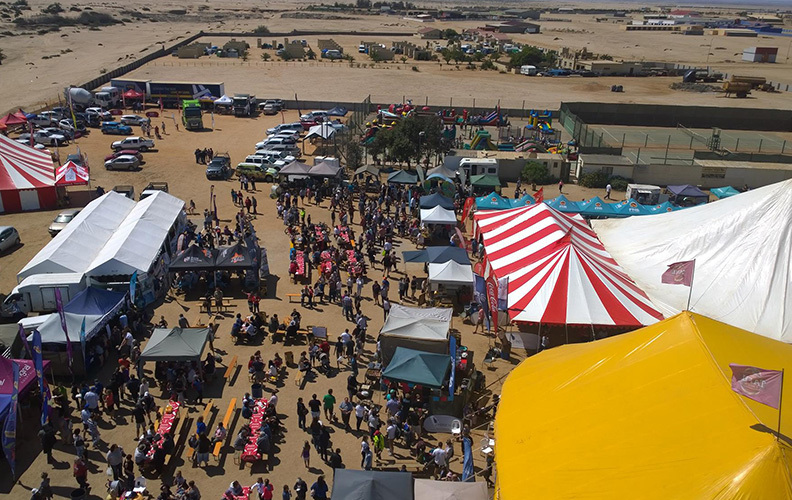 The “Hentiesfees” (previously known as Visfees & Hengelfees) is by far the most important and biggest annual event in Henties Bay and many people from all over Namibia and even South Africa flock to our small town to join in the festivities and jolly atmosphere. Make sure to attend this happy event that is presented each year around August.